This is time one need to do something about two things : Stop making item songs and Give RFAK a break. No matter both the things work for a moment, but that's it. Halkat Jawani is worth a little bit, because of the use of instruments in otherwise typical item material. While a carbon copy of Yeh Honsla (Dor) - RFAK's Saaiyyan is yet another, RFAK song. Borrowing fast paced beats of Fashion's theme, Main Heroine Hoon has wasted Aditi Singh Sharma's vocals in 'cringy' lyrics. (main heroine hoon..yeah yeah....Oh Come On !) Suspiciously sounding like O Saiyyan (Agneepath) - Khwahishein by Shreya offers better sound. But pick of the lot is Tujhpe Fida that sounds good as long as its being played. Though no shelf life of this track either. After Fashion (which was a perfect soundtrack for the film) this one by Salim-Sulaiman disappoints by a soundtrack that has nothing notable to offer. From the whistle prelude to the accordions throughout the song, Ala Barfi ! takes you back to nostalgia. Heart warming words of Swanand Kirkire, sung by Mohit Chauhan makes you go drool over the track instantly. Reminding you of Kishoreda's mannerisms, Mohit is at his best. And Oh ! There is another version of the song. With different arrangements, this time, by Swanand himself. The thing I couldn't understand is - why is he shouting? Anyways, tune wise, the track is fabulous. Not easy to get it off your head. Minimal arrangements and laid back, lazy croon of Nikhil Paul George - Main Kyaa Karoon is charming. Penned Ashish Pandit, this one, is standard Pritam template, that works perfectly as always. Vocals of Nikhil is highlight over here. Listen to it again an again, you won't be tired. Third track, Kyon - again has that old world charm. Wonderfully sung by Papon and Sunidhi, the melody is stirring. Not to forget the words that shines through penned by Sayeed Qadri. Starting with faint aalap by Arijit Singh, Phir Le Aaya Dil (Reprise) assures the awesome ride ahead. This 'ghazal'eque track with tablas on one hand and wonderful orchestration on the other. This one, is just pure bliss. But wait - there is a more serene version of this one. The original - Phir Le Aaya Dil - sung by Rekha Bhardwaj, is an absolute treat with strings of guitar. Both of these are gems of the album. Pritam does perfect justice to Sayeed Qadri's poetry. Next, Aashiyaan, is a cheerful one. With 'bouncy' vocals of Shreya accompanied by Nikhil Paul George, the freshness of this peppy track is unavoidable. Last one - Saanwali si raat, is a song that you want to hear in sheer dark night, with all lights switched off. That cuddly-wuddly song you would love to go to sleep while listening to it. Swanand's words scores again, just loved the second para of the song. And Arijit's singing - oh man. In love with the song already. Pritam, after FKS, again gives a heart warming soundtrack. There is something about the team Anurag+Pritam that always give the best results. Pritam's best till date - Life In a Metro, and now this. The hit maker is hitting the right spots again and again this year. This Barfi is absolutely high on taste that you can't resist. My Picks : Phir le aaya, Saanwali si raat, Kyon, Ala Barfi ! Salman, and his movies. Except some really bad one, I mostly like them. The fan-boy in me, always cheers for his performance, no matter how heavy masala movie it is. But this - is something different. Kabir Khan's Ek Tha Tiger turned out to be a disappointment for me. Despite of having 'Bhai' on board, the 'yrf'ied screenplay kills the experience that could have been quite a ride. Starting off slow (after a prolonged 'introductory fight of Tiger), the story takes ages to build up with even more slower mannerism of Tiger, aka Bhai. Sparks are only there when we see Katrina up there with him. And the chemistry of both provides relief in rather dud developments. They are charming to see together. Few lovely moments between the two (like the ball dance on stage) and then, a predictable twist. And interval. You know, what's going to happen next, in second half. And exactly, movie goes to that standard route. with some sight seeing of 'phoren' locales. It leave one wondering, what exactly is the story-line. What is the 'spy's mission'. Ah, forget it. You are watching a Yashraj Movie. Better title this as 'Love Story of a spy'. Slow second half is absolutely cringe-worthy with a daredevil spy falling in love so desperately that he might sacrifice his duties instead for his love. Ah..well. Finally, after half an hour into the film and there is some action. A fantastic chase scene, in which, surprisingly, Katrina outshines Salman. Absolute joy to watch her in such mode. The scene, followed by yet another longer chase, made me think 'oh, finally, now the film is on the right track' and voila !! The movie gets over ! Out of no where, a voice over declares the finale. Man !! If this is it, where is the premises, that was shown in the Trailer? Salman, is as usual, a charmer without any doubt. With all that goofy acts mixed with action and humour. But here, Katrina impresses the most. Wish there could've been far better screenplay, the efforts of all departments would not go wasted. Even in Kabir Khan's previous - New York, all the candy floss was there, but it ran through a concrete story line, that is missing here. Final word : Stuff for die hard fans. Kat-Salman chemistry shines in between flawed storytelling, or the lack of it. Ek Tha Tiger, disappoints. Hoping for a better sequel, outside this production house. Charkha Naulakha : Atif. The prime reason why I was looking forward to this season. And this, being the best start. Though it took a few listens for me to let this grow on me, but after that it got me totally hooked. Atif and his trademark ‘long range’ croons matched by rather aggressive singing of Qayas, this track blew me when it graduates from lowest to highest peak of sound and comes to the line “mera yeh charkha naulakha” at 5:11. Khabaram Raseeda : This one, is purely, a divine track. The thehrav in prelude and how it picks up with the main loop, a wonderful transition. Fareed Ayaz and Abu Muhammad adds their own touch with conversation like singing with minimal score. The jugalbandi of the two is insane. And the history behind the song !? One more reason to love this fantastic track sprawled over 16 minutes. And Khusro’s poetry *bows*. Larho Mujhey : Childlike, naive attitude of the song is a highlight here. No heavy poetry, just plain simple words that makes you feel that the song belongs to you. Bilal Khan’s happy-go-lucky singing mandatory makes you sing along with him, or even, after the track is over. And the works - the sound that changes its stand from 3:08 and goes into dreamy mode. Fabulous tweak. Pere Pavandi Saan : The sitar, the aalap and the kick start at 1:12, and the track captures you. Tahir Mithu’s voice doesn’t let you go away without spelling his magic. Again, the history behind the song and the way they have treated it (a song with sorrow, composed as such a different, energetic tune) this one, is the best of this season for me. Not to forget, the impeccable support by Viccaji. ‘Lalo’ Lateef’s poetry ends as gorgeously as it started, from 5:54 to to 6:59, Tahir Mithu #ftw. Nindiya Ke Paar : Uzair Jaswal’s track from Episode 3 went unnoticed by me initially only to be rediscovered after the season got over. And now it is one my my most favorites. Highlight of the track is - how it transcends into Tere Bin nahi lagda (at 2:23). An altered version of Nusrat saab’s epic song is a perfect tribute. Kandyaari Dhol Geet : To be frank, I disliked this one when I first heard it. The chorus sound seemed a bit annoying. But after a few days, gave it a try and now, it gets stuck in my head every now and then. Chakwal group’s perfect ‘joint’ effort transcends brilliantly into addictive hip-hop of Bohemia. (after 3:52). Rung : This track is quite an experiment in this season, featuring twice in back to back episodes, with different tunes. 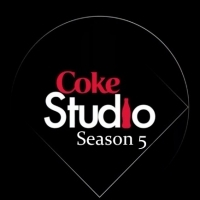 Episode 3 had Hadiqa singing this one with her arresting voice (with highlight being 4:16 to 5:24) . The one from episode 4 became my instant favorite. Again a Fareed Ayaz & Abu Muhammad jugalbandi, the track starts leisurely only to pick up its loop from 3:40. This 14 minutes long track is another gem from the duo. Koi Labda : The way it starts softly by SYMT , picks up pace (0:47), changes its flavor with Sanam Marvi’s lines (3:10) and the way it concludes (4:46) with both singers, and not to forget Viccaji sisters - this lovely track has many layers, many reasons to love. Seher : Farhan Rais Khan and his Sitar. This track is an instrumental treat. Starting with minimal-only Sitar, it zooms into fusion at 2:03. Backing vocals by Viccaji (as fantastic as always) the experience is eargasmic. Now, this is something - that can define the term 'Worth The Wait'. Perhaps the best sequel any film ever had. (Well, technically, this is not a sequel, but technically, it is #whatever). I am running short of words at the very beginning of this review. Because right now, I am in that overwhelmed state of mind that I can't hear anything else but the gun shots. Can't see anything else but the chases in the busy streets. Anurag Kashyap's Gangs of Wasseypur II delivers more than he promised in the first part. (which I did not liked as much as part 2). GOW2 is out and out engaging and keeps you glued like anything. Sequence after sequence, shock after shock and twist after twist - and not to forget - the endless queue of new characters. At one point the movie shocks you with its narration that how a new character is introduced that had roots in the first part - root that had nearly neglible screen time in first one. What brilliant screenplay ! Talking more about screenplay, compared to first part this is more fast paced more gripping (maybe, because it has less space for the woman characters - that means less space for 'laundiyabaazi' that hindered first part.) (no doubt that was good, yet it held up somewhere). This time, women are still there, but not as powerful as Nagma and Durga. Being the only one in focus, Huma Qureshi plays a supportive biwi, charms you while occasionally showing Bihari sparks. Sparks - there are numerous of them whenever Nawazuddin Siddiqui is on screen. The Faizal Khan eats everyone around with his presence. Proving no six packs, good looks or 'gora' color is mandatory for being a 'hero'. This 'Kaala' saiyaan is definitely worth drool over. Definite - Zeishan Quadri seemed a bit thanda to me. Don't know why but maybe he was written in that way only - underdog. And, the Perpendicular - aha ! what a character ! Brilliant addition of a character to move forward the story. Unbelievable hero-giri of Perpendicular leaves you in awe. From herogiri to villain - the Ramadhir Singh is not much visible in this one. So I missed those aamne-saamne wali ladai** that was the most exciting part of the first film. But still, there are the moments - the scenes that are weaved together that hardly leaves you disappointed by those little things. Director's cut of course. 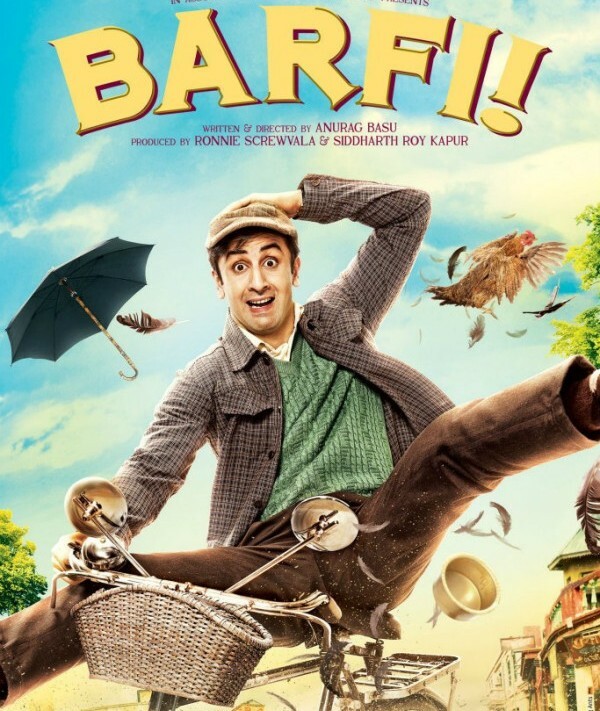 There is no certain formula - while there is one outrageous killing scenes, there are hilarious ones too (scooter and bike chase ; sabzi mandi and Sultan), and even there are shocking surprises (Kashmir ke seb) and adrenalin rush (outstanding second angle of the opening scene from the first part). Editing - is the key where this part wins hands down. Need I say anything about the music ? Already much has been written by me - but again, music is drivin force in here too. Superb inclusion of Kaala Re and Moora - the tracks I loved the most. Or even Electric Piya, that sounded bit off, was perfect in the movie. And the killer mix of Keh Ke Loonga - a Perfect Climax !! Though 'Aabroo' was a disappointment to me. But anyways, there wasn't much scope too. There, I said it in long paragraphs. To cut in short - GOW2 is sharper, faster and more effective than its first part. It leaves everything on your mind, it transports in inside, what is on the screen. A fitting conclusion (?) to one of the best revenge saga ever told. Anurag Kashyap - I bow to thee. Though it sounds templatized, Deewana Kar Raha Hai makes engaging listen because of Javed Ali's vocals. This Rashid Khan composed track ends almost as similarly as the next track starts. Rest all the songs are by Jeet Ganguly. Shafaqat Amanat Ali's Zindgi Se is again a standard Bhatt song. Something we have been hearing since long time, still, not bad. Rafta Rafta by KK, with its continuous beats, sounds lovely. But tweaking hardly make one recognize its KK. Oh My Love has Sonu Nigam and Shreya on board, but the song falls flat because of cringy lyrics. Kya Raaz Hai - again, has Shreya and Zubeen Garg, but song is a waste with ordinary tune. And if these two tracks are not enough, last one, Khayalon Mein by Shreya isn't worth your time. Not a fan of the music of this series, but this, is simply below the levels of previous ones. Jeet Ganguly's score for this one, is a downer.